← Where is the DNC server? This is how we testify before Congress, the closest thing you have to accountability. As if. And then we impeach presidents who oppose us. 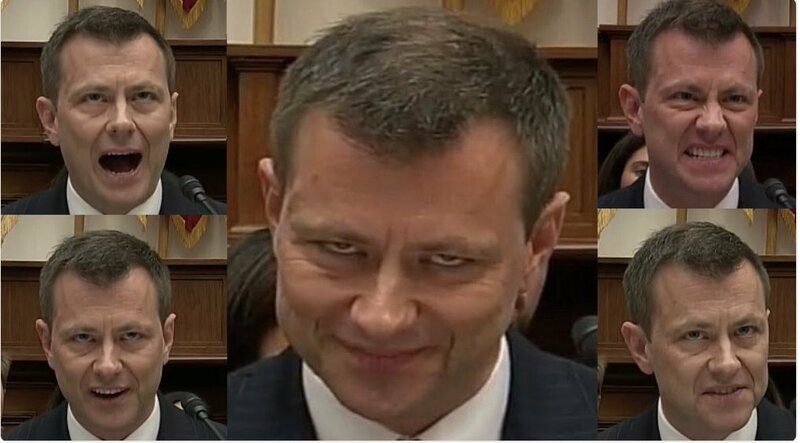 This entry was posted in Bureaucracy, Political corruption, The Ruling Class and tagged Strzok for the Deep State. Bookmark the permalink. Do you really expect a senior FBI man to look like a straightforward upstanding member of the community?